Our ITIL practice exam consist of 15 questions, each one randomly picked from our exclusive collection of ITIL material (100+ questions). Every question has been shaped by the best ITIL books and training materials available. The ITIL certification covers a wide range of concepts and policies for managing information technology (IT), infrastructure, development and also operations. 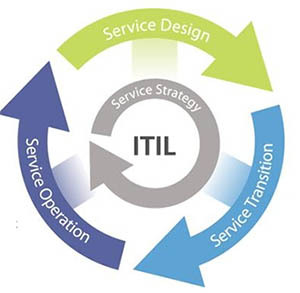 The overall ITIL framework consists of a glossary of closely defined and widely accepted stipulations. ITIL is a registered trademark of the United Kingdoms Office of Government and Commerce. The ITIL exams cover, in depth, important IT practices with comprehensive checklists, tasks and measures that each IT organization can tailor to their needs. ITIL Version 2 is grouped into logical sets rather than the 30 volumes that were part of the original ITIL Version 1. Each set is a group of correlated process guidelines to match different parts of IT management, applications and services. Service Management is by far the most commonly used and understood of the ITIL publications. The overall ITIL structure expands to far greater lengths in version 2. Note: ISO/IEC20000 and ITIL Version 3 are quite different. 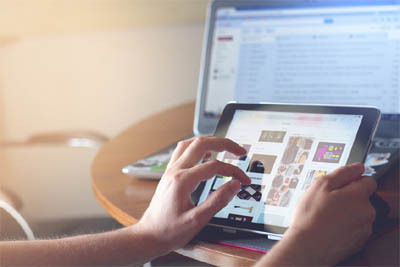 ISO20000 does not recognise assets which include management organisation, process, knowledge, people, information, applications or infrastructure. Instead, ICO/IEC20000 deals with the management of financial assets. These are quite different from the assets managed through the ITIL. Our free practice test for ITIL covers the full syllabus of the exam and is the ideal ITIL training simulator. All candidates hoping to take this exam should be able to demonstrate competence in all aspects of ITIL practices. Each ITIL book should be read from front to back to ensure full preparedness. All our free questions are presented in our unique multiple choice simulator that mimics the actual exam content by pulling random questions from a pool of hundreds! Simply read the ITIL question to understand the topic or area being tested, then select the appropriate choice from the radio buttons underneath. The exam simulator informs you of right or wrong answers as you progress. There are 15 random questions per practice exam, and you are free to take the ITIL exam as many times as you wish. Please bookmark this page, as we revise new questions on a regular basis. Always stay ahead of the curve, use Accelerated Ideas as you number one training provider for practice exams. Please Note: Our exam does not contain official sample or live questions which are protected by APM Group Copyright or Crown Copyright. A ___ is a means of delivery value to customers by facilitating outcomes customers want to achieve without the ownership of specific costs and risks. Q2. The ITIL Service Lifecycle embraces and enhances the more traditional Deming Quality Cycle which ensures continuous quality control and consolidation. Which 4 stages are part of the Deming lifecycle? ___ is the moving of a value-creating activity that was performed inside an organisation to outside the organisation where it is performed by another company. Q4. As part of a Service Strategy, this process is critical for quantifying the value of an investment. In simple terms it is the net profit of an investment divided by the net worth of the assets invested. Which concept is this? The Accelerated Ideas team has worked tirelessly to create practice exams that help you get the right result so please do bookmark our page and visit us on a regular basis to ensure you are well prepared for the actual ITIL exam. Good luck!